It’s always happy post for us when the post includes collectible toys, and especially when the package contains a LOL Surprise , and doubly so when there’s two LOL Surprises! This time round I didn’t tell the kids what was in the package, so they didn’t know a thing, which was extra fun! 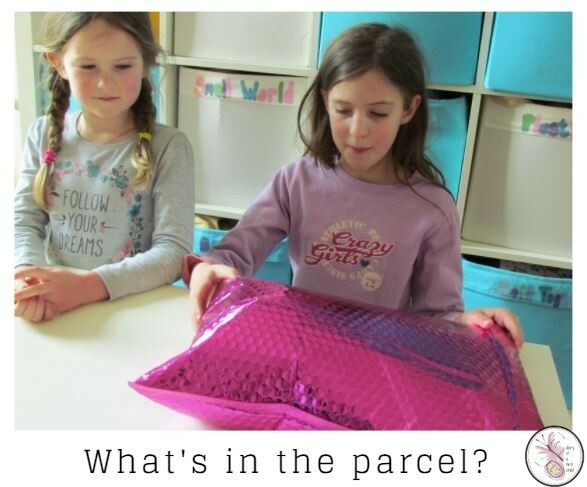 They were very excited to open the postage bag and find the biggest LOL Surprise e.v.e.r! (Watch the video below. The excitement is real, folks!) With the paper sleeve taken off, and the little wires cut the lid of the half-globe comes off to reveal 6 little balls inside of which are two outfits for a LOL Surprise Doll. These are the little outfits – they fit the Lol Surprise Doll (not the Lil’Sister) so you can either exchange outfits on one doll or if you have a second doll, they fit her too, and we love things that mix and match! In the belly of this monster, there’s a huge yellow and pink bathbomb which fizzes like crazy – again, see the video fo the live action replay there. 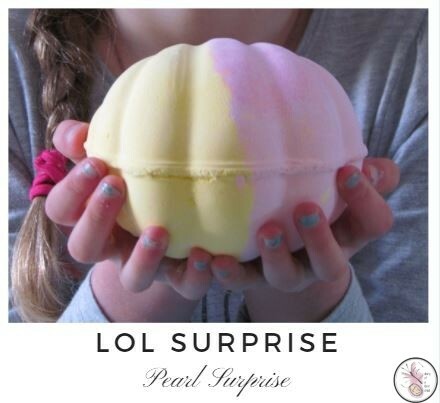 With the bathbomb parts all fizzed away, there’s another surprise. As Ameli said “It’s a surprise, in a surprise, in a surprise!” The kids were elated. Lil Treasure and her sister, Treasure do have some colour-changing elements, for example an anchor tattoo that appears on Treasure’s upper thigh, and all over her torso when she’s kept in the freezer for a while. I can’t remember if Lil Treasure colour changes, but I can tell you that if the kids don’t close the freezer properly afterwards, you’ll spend a good chunk of the next day defrosting your no-longer frost free freezer. You’ve been warned. The really nice thing about the giant half-orb that remains when all the disposable bits have been binned is that it’s big enough to house our whole LOL Surprise collection now, so no more digging around the bottom of the toybox for pinkie-nail sized shoes. Yay! 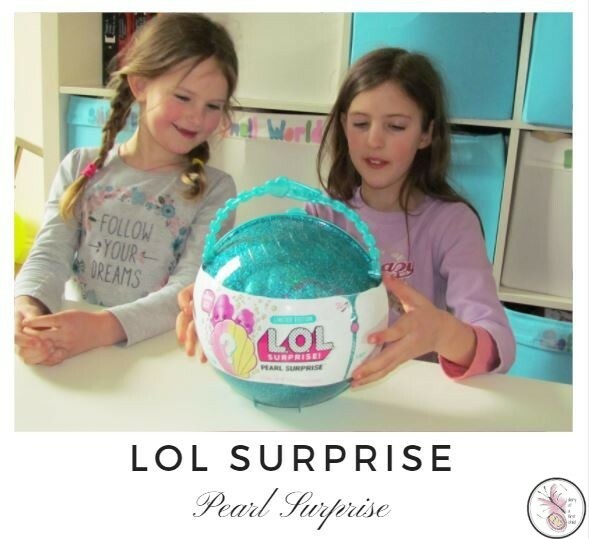 So What Do The Kids Think Of The LOL Surprise Pearl Surprise? I think you can see in the photos what they think of it, but if you’re not sure, feel free to watch this video. 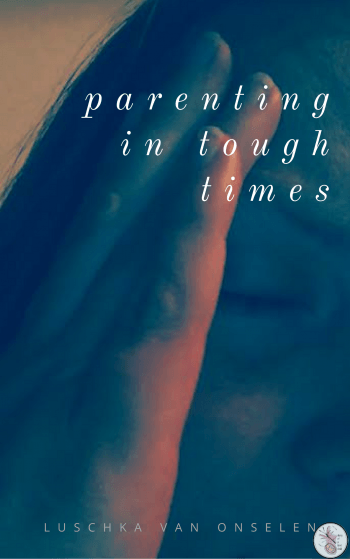 I was able to edit the whole video while they played with the toys after, so a good few hours, and they are the kinds of toys that come out to play fairly regularly. 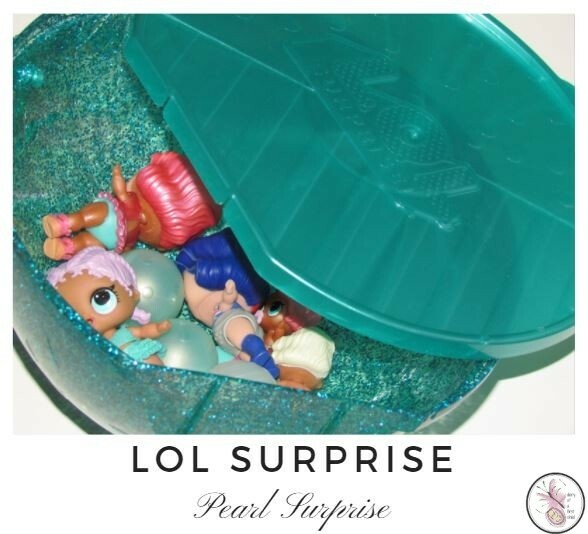 So What Does Mama Think Of The LOL Surprise Pearl Surprise? Look, if you’re reading this I’m going to assume you’re a rational grown up, so I’m not going to pretend that paying £30 for a few teensy little toys that don’t even fill your whole hand is value for money, because it isn’t, and we both know it. (And that’s the price today. I saw these in toyshops before Christmas nearer the £60-mark!) However, for me, for my girls, and I’m going to go out on a limb and say, since you’re reading this, for yours, it’s a winner. The unboxing happens in a few super excited minutes, the fizzing of the bathbomb and back downstairs they played for hours. Is that worth £30? Yes, without a doubt. I know I’m a sucker for seeing my girls excited and happy, and for one afternoon (and the many extra hours they’ll play with it in the weeks and months to come, because I know they will), there are worse ways to spend money and they loved this, so how can I not love it by association? 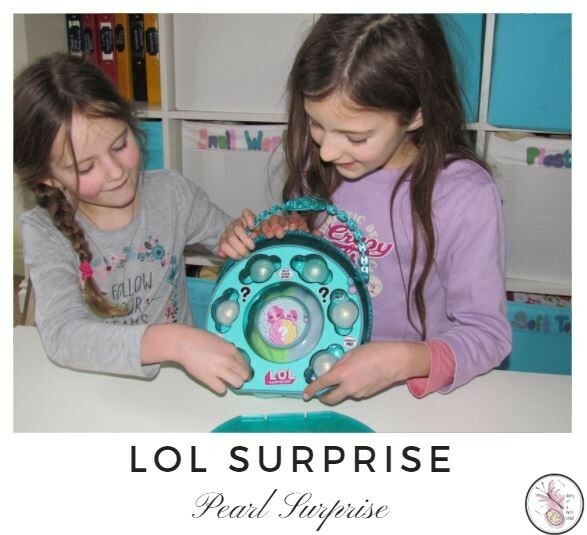 We were sent a free LOL Surprise Pearl Surprise toy in exchange for an honest review.